Swiss Amber Ale is a classic example of an amber ale. Caramel malts create the rich red color and complex flavors that prevail in this refreshingly drinkable amber ale. 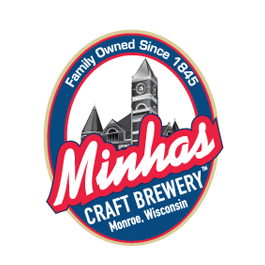 It is made in small batches with specialty 2 row malts and a combination of hops to create a perfect balance of flavors. 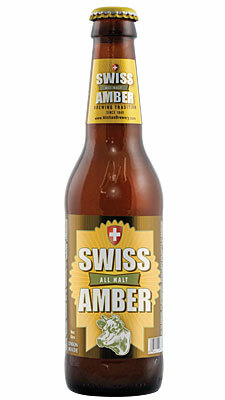 Swiss Amber is a well balanced, full flavored, amber ale. At first glance, this reddish-copper ale looks strong and heavy, but one sip proves that it’s as smooth as silk. It has a rich, malty body with a pleasant caramel character derived from the specialty caramel malt. It has a complex hop aroma, with a hint of floral and citrus which comes from a combination of hops. It pours a rich, creamy head with a fine lace. The light fruitiness, characteristic of ales, is derived from a proprietary yeast strain. The straightforward caramelized malt and hop balance in Swiss Amber enables it to pair with a wide variety of food items, including anything that comes off the grill, particularly grilled or braised poultry, sausages, and pizza. Romano, Mozzarella and Parmesan Cheeses are a good match. Swiss Amber is available in many US states as well as AB, SK and MB, Canada.